Texas makes wrongful death lawsuits open to the surviving spouse, children, and parents of the deceased person. The purpose of this type of suit is to recover damages the surviving relatives suffered as a result of the death. In a majority of cases, the deceased is a provider for the family. This means that the damages the family can recover include not only the medical bills up to the date of death, funeral and burial expenses, but also the loss of that person’s income. Other special damages include the loss of the individual’s love, companionship, guidance, among others. In this type of action, the funds do not go directly to the Estate of the deceased person. Instead, the money received from the at-fault party or their insurance company is paid directly to the family. Unlike a wrongful death claim, a survival action is paid directly to the estate of the deceased person. The goal of a survival action is to compensate the estate of the deceased person for the losses the individual suffered prior to their death. This may include pain and suffering, medical bills, lost wages, and property damage costs. The damages recoverable in a survival action are quite similar to those that the individual may have received had the accident not resulted in his or her death. Since the funds are paid to the estate rather than the family, as in a wrongful death action, the family must then probate the estate. If the deceased died with a Will, then whoever is named in the Will as the executor may open the estate and make the survival claim against the at-fault party. If the person dies without a Will, then a family member must open the estate and have an administrator appointed who may then file the survivor claim. The money is then paid to the estate, who will pay any outstanding debts (such as hospital bills) and then if there is anything left, the heirs named in the Will, or through the laws of intestacy are the takers will receive what is left of the recovery. In many cases where a death has occurred, a family can pursue compensation through a wrongful death claim, a survival action, or both types of action. If someone else caused your loved one’s death, your loved one suffered damages, and your family sustained a loss of income, then the family will be able to file both types of claims. A skilled personal injury lawyer experienced in wrongful death claims will be able to help guide the family through the different types of actions and file paperwork for either or both types. In many cases, it won’t be necessary to file both, and many factors will go into whether or not you should file both types of claims. 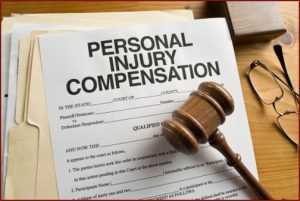 If the other party is a trucking company or commercial vehicle, both types of claims will likely be filed, but if it is an auto-accident where insurance coverage is limited and we are dealing with an individual with limited assets, one type of claim may be all that is needed in order to get the family the maximum recovery available to them.